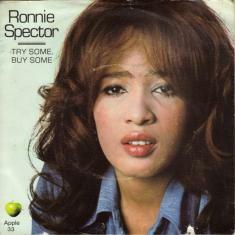 "The petite dynamo with the huge, towering voice proved that her sound and presence are still as unique and unmistakable as ever"
Ronnie Spector's 2019 international tour is underway and has earned rave reviews, with Creative Loafing summarizing last week's Florida concert with this praise: "Ending the night, fittingly, with the last single The Ronettes ever recorded, 1966's "I Can Hear Music," Spector closed on a high note and reminded everyone in the crowd of her musical legacy. As she made her way from one end of the stage to the other at the finale, shaking hands with adoring fans and blowing them kisses, this audience witnessed the classy ending of a dynamite performance by a bona fide rock and roll star and legend." A beloved Holiday tradition for three decades, Ronnie Spector and The Ronettes' Best Christmas Party Ever! 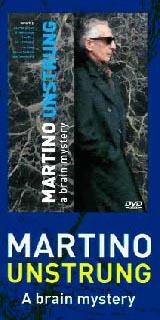 earned expansive preview coverage, and a sampling of press clippings from recent weeks is below. Spector's current high-profile stretch was described by People Magazine as a "Victory Lap" for "The Original Rock Queen". Billboard Magazine named ‘Be My Baby' as the #1 Greatest Girl Group Song of All Time, NPR included Spector's 1964 debut at #20 on their 150 Greatest Albums of the Rock Era, Made by Female Artist, and her busy 2017/18 also included the release of ‘LOVE POWER', her first single recorded with The Ronettes in decades, a commanding performance at Lincoln Center, an appearance on FOX-TV's Good Day New York, a Main Stage performance at SF Pride and more. The acclaimed singer was also presented with the Legend Award by The Woman's International Music Network at their "She Rocks Award" ceremony. She was featured in the BBC's 2018 documentary about Amy Winehouse. Spector was honored with a Lifetime Spirit Award by LSA Family Health Services, in her native East Harlem. In addition, ‘Be My Baby' has been added to the National Recording Registry of the Library of Congress, preserved as a work of historical and cultural significance, and is also now an official addition to the Grammy Hall of Fame. As a seminal force in Sixties Rock, Spector's swagger, moxie and trademark voice (still instantly recognizable from the first note,) defined an era. As the Number One pop group in England, Ronnie Spector and the Ronettes headlined over acts including The Rolling Stones, Eric Clapton and The Yardbirds. In the years since, Spector has had songs written for her by George Harrison as well as by Bruce Springsteen, and has recorded with Jimi Hendrix, Springsteen & The E Street Band, members of The Beatles and more. Billy Joel wrote the smash ‘Say Goodbye to Hollywood' as a tribute to Ronnie, and Eddie Money's ‘Take Me Home Tonight' celebrated her trademark Be My Baby vocals, with the duet reaching #4 on the Billboard Hot 100 Chart.